Running a great restaurant takes a lot of time and effort, and if you are lucky, you will be rewarded properly. Every business needs good investing in order for it to grow. We all know by now that good advertising is half the job done, and presenting your business online with a good website that shows your restaurant in the right light to your potential and existing customers is one of the best things you could do for your restaurant. 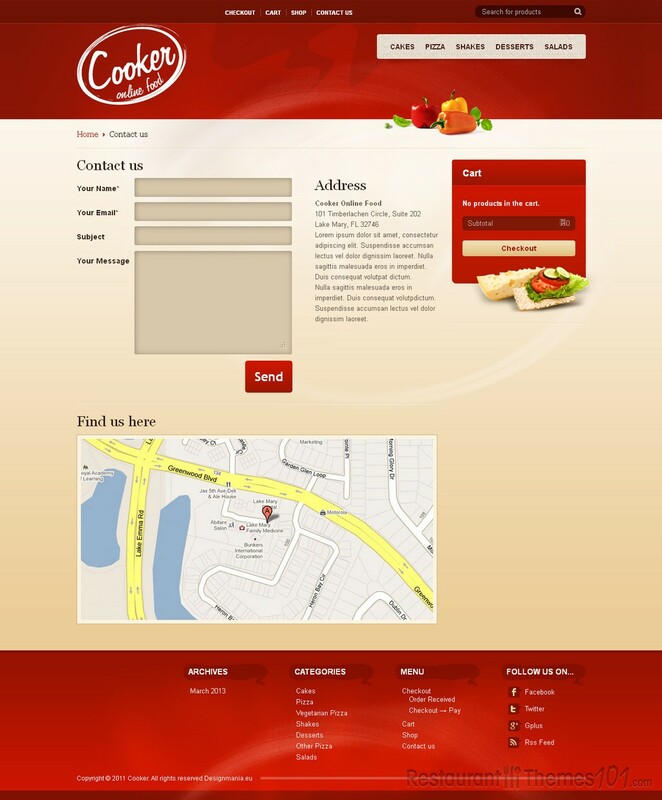 Cooker is an excellent WordPress restaurant template. It was created by Design Mania and it is featured on ThemeForest. Cooker can be used as a WordPress bistro theme, but it can be used just as well for any kind of a restaurant, no matter if it’s a pub, a bistro or a bar. The theme has a clear code and they had it perfectly organized in PSD files sets to make everything very easy and understandable for anyone so you can have your website up and running in no time. You won’t need to hire a professional to help you with your website. 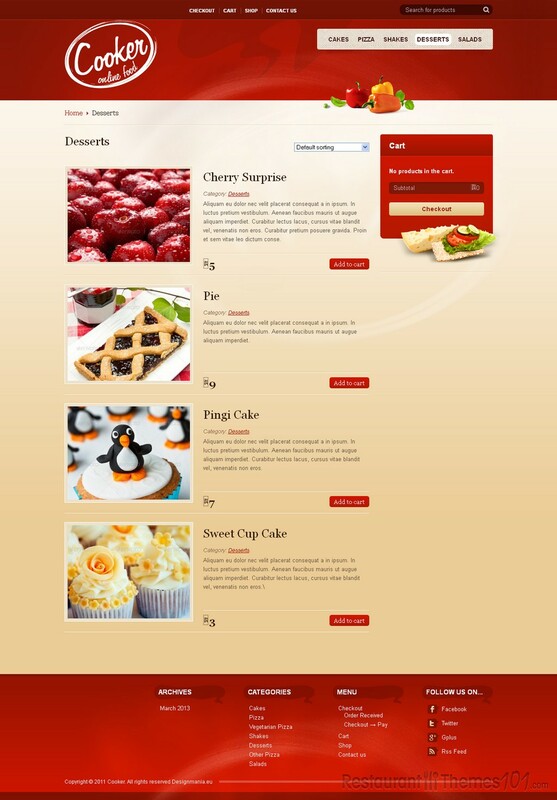 Cooker is using WooCommerce, Option Tree, Contact Form 7, social media integration. There are several extra things included too, so you can set up your theme in no time and play around with the features and options. The theme has a fully responsive design, which means it will adjust to any screen size or resolution, no matter what device it is viewed from. As for browser compatibility, it has been tested on IE8, IE9, IE10, Firefox, Safari, Opera and Chrome and it works perfectly well with all of them. 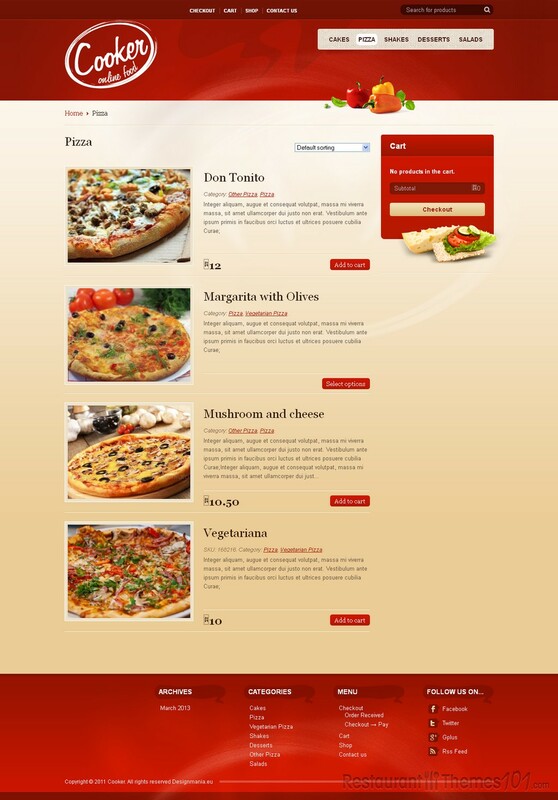 Cooker is a professional, very well documented template which can be used for any business that is food-related. It has a very modern and attractive layout design made to attract many customers and keep the existing ones interested. 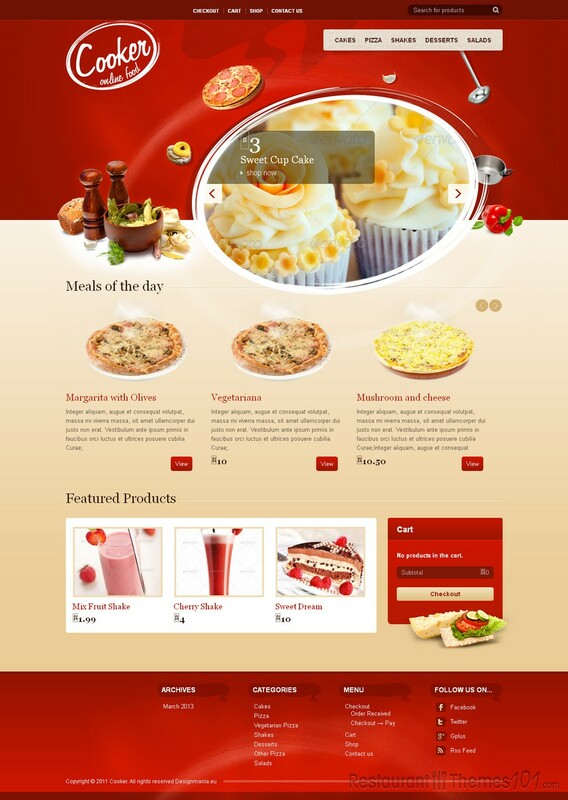 Besides this WordPress theme you can buy Cooker also as a Drupal or HTML template.